There is a lot to be said for a pack to last beyond the ages. Beyond that of their ancestors, those who could have never imagined its greatness or failure. To have a leader ready at the helm, to take charge and guide their family to unimaginable heights and journeys. A pack, long thought to be extinct many ages ago, still thrives by the blood that persists to beat within that great leader of its time. A leader that has the undying loyalty and love to carry on a name that has done so much in its past. But what of the future? The packs history laden with great stories of adventure, death and rebirth. This is one of those stories. The canvas of nature is spread as far as the eye can see and invites all wary travelers lone or not to come and tred within the territory of a Legendary pack. What adventure do you seek? What will you find? Family? Hope? Renewal of spirit? Is this your calling? Perhaps you will find it here, perhaps not. May you find peace from the past and solace for the future, for it is such a paradise rarely found anywhere else. Only the chosen may remain. Perhaps your calling will take you home. We welcome all for we do not divide.. but rather we unite. In Spirit, we are free. 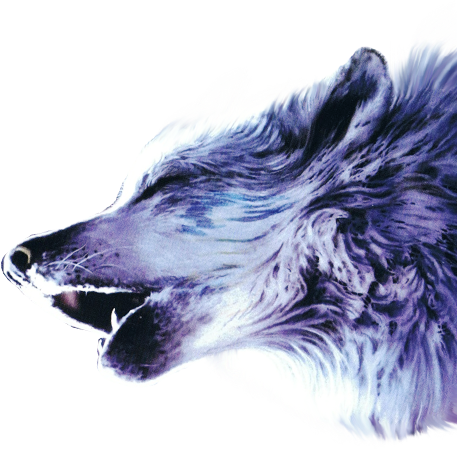 WolfSpirits is a free form Wolf RPG Founded February 25th, 2001, and its based on the interactive chat client, mIRC ( IRC ). We are not forum based, but rather, our role play is instantly interactive through a ‘chat’ system. A new story line is in progress of beginning again! See the logs and progress below! Date: Pack meeting was held 11/1/18. New website at www.wolfspirits.net. The .org will be disabled soon. With the small size of the pack, ranks have been dropped for now. Been gone a while and thinking of returning, check in with Alphas or Beta. Now’s the time to restart your char or develop a new one and start totally fresh. Once the pack grows ranks will be revisited. Pack Historian is under consideration. This wolf must be on regularly and able to make most meetings, lore nights, skits and quests. Wolves come and go as have the winter storms. Some returning along with new visitors. If you’re new to WolfSpirits, come on in to the IRC chat either from our join page on this site or direct from www.sorcery.net/chatnow, enter a nick and the channel name #WS_OOC and say hello! We’d love to meet you and if you find you like the RP, request to join the Pack! Winter still holds on to the pack’s territory but the promise of warmer weather is on the horizon as breeding season comes into swing. WolfSpirits is a free form RPG based on instantaneous messages through mIRC. We’re not forum based like other RPG’s. You can also go directly to sorcery.net and click the ‘chat now’ link and log in. You’ll need to enter your nickname you want to use and #WS_OOC which will auto join you to our channel. See ya soon!! !